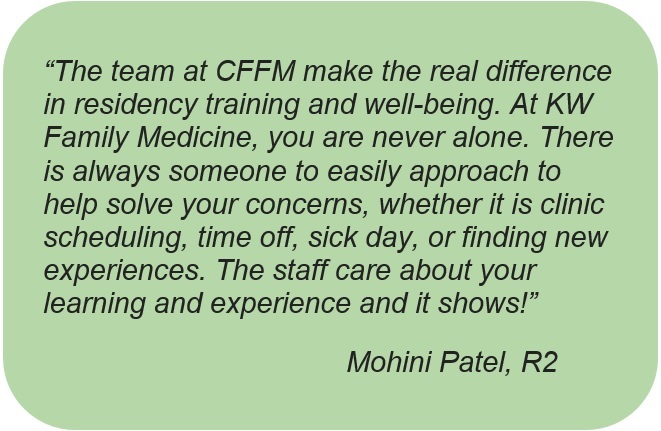 The Centre for Family Medicine in downtown Kitchener. 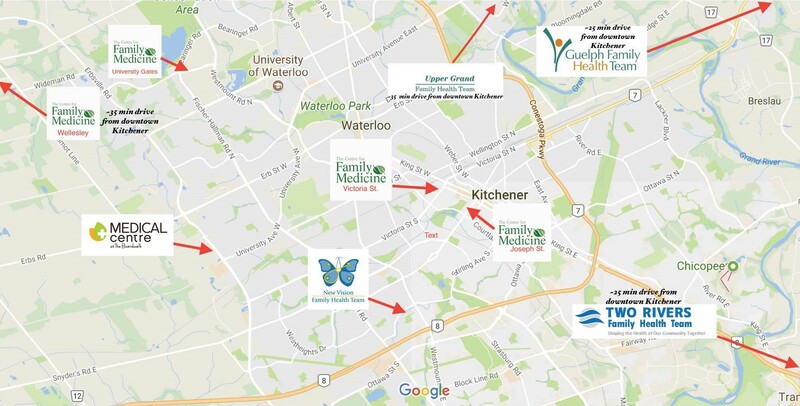 A trending neighbourhood and business centre, as well as the location of all academic programs, multiple specialty clinics, and the home base of many of our primary preceptors in family medicine. 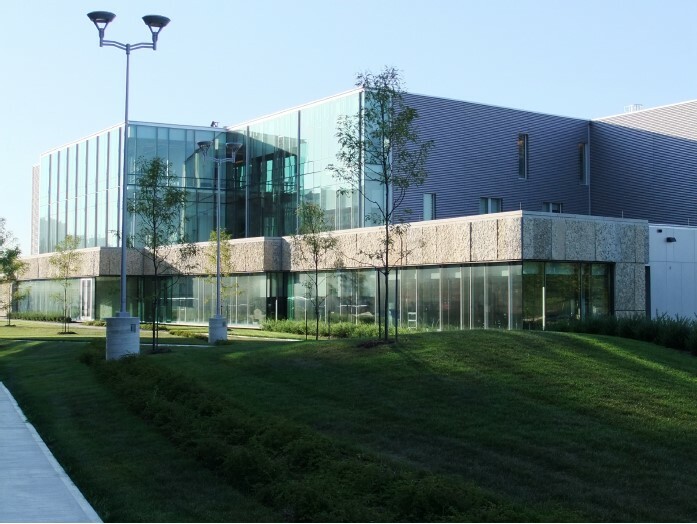 All rotations are conducted within the Waterloo Regional Campus area which incorporates Kitchener-Waterloo, Cambridge, Guelph, Wellesley and surrounding communities. Second year electives and core two block rural rotations may be conducted further afield if desired. Each year, residents conduct 16 weeks of full-time family medicine at their home base site (see the map and links below for information about each site) and return for weekly continuity clinics the rest of their 2 years of residency. Following the CaRMS match, our admin staff take great care to help residents match to each site through an internal matching process. 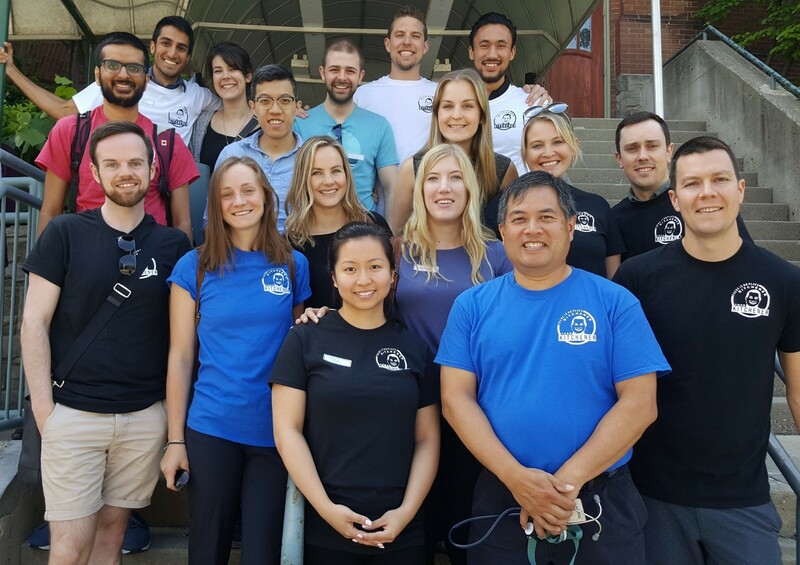 Integrated – Faculty are dedicated to providing excellent clinical experiences to residents within a new curriculum that emphasizes an integrated focus on primary care. Local block and horizontal electives are available in a wide range of areas including, but not limited to: Sports Medicine, Oncology, Public Health, Student Health, Emergency Medicine, Anesthesia, Orthopedics, Refugee Health Clinic, Psychiatric Outreach, Memory Clinic, Anticoagulation Clinic, and Medical Student Clinical Skills Teaching. A chance to explore other areas of interest throughout your residency! Opportunities include anticoagulation clinic, supportive care, pain management, travel medicine, psychiatry, GP-anesthesia, and more! If you would like more information about other teaching sites at McMaster click here, or here for information about applying to residency at McMaster.